In 1951, the Canadian Flavour Company Stuart Brothers Inc. commissioned and set up a manufacturing subsidiary in Cocorite, Trinidad. The operation was a success from inception and quickly became the leading supplier of flavouring concentrates to local and regional food and beverage manufacturers. In 1968, Stuart Brothers Worldwide was bought by Givaudan-Roure Inc., the flavour and fragrance division of the pharmaceutical giant Hoffman LaRoche. The company continued to thrive under new ownership and dynamic leadership, and during this period, many new export markets were established. In early 1994, the management team engineered a buyout of the local operations of Givaudan-Roure (WI.) Ltd. and became a 100% locally owned entity, once again trading under our original name Stuart Brothers (WI.) 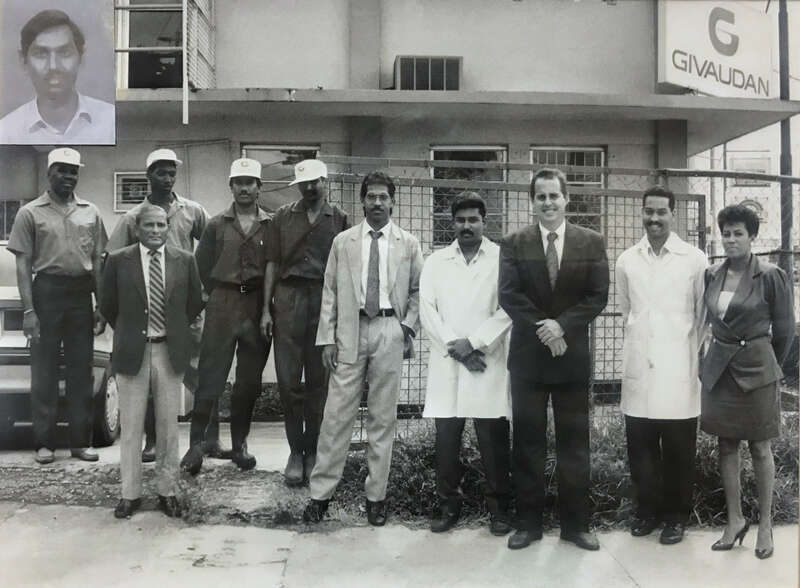 Ltd. As Gregory Wight, Managing Director, recounts, "It hardly seems possible that 25 years have elapsed since a group of us purchased this organisation. Looking back on those early days, our group of five partners was determined to make an ongoing success of the new company as we felt our strengths significantly outweighed our weaknesses. Among our strengths were a solid range of flavour solutions contributed by our former owners, along with strong relationships with the major food manufacturers of the region. Indeed, counted among our customers were the majority of the soft drink bottlers and breweries of the Caribbean. We also enjoyed the support of a number of smaller essence bottlers, ice cream makers, bakers, and dessert makers." Stuart Brothers is now the largest manufacturer of flavouring concentrates in the Caribbean having expanded its export business throughout Caricom and into Aruba, Curacao, the Dominican Republic, Haiti, Guyana, and Suriname. More recently the company has become active in the Caribbean diaspora market in New York via a Guyanese production line, and looks forward to helping developing a taste for regional flavours in the United States. In October 1999 Stuart Brothers became IS0 9002 certified by Underwriters Laboratories Inc. (UL.) In doing so it became the first flavour house in the Caribbean to receive this internationally recognised quality standard. Then in 2012 the company went further to achieve prestigious GFSI-FSSC 22000 certification and have maintained it. Stuart Brothers has also been HACCP certified for the past 20 years, and recently completed the latest certification exercise for 2019. Added to which, it has expanded its team of flavour material suppliers enabling them to provide a diversity of flavour solutions to satisfy the needs of today’s sophisticated market place. The physical plant was improved, enlarged, and upgraded during 2017/2018 so that premises now total 15,000 square feet, inclusive of 5,000 square feet of a two-story warehouse. 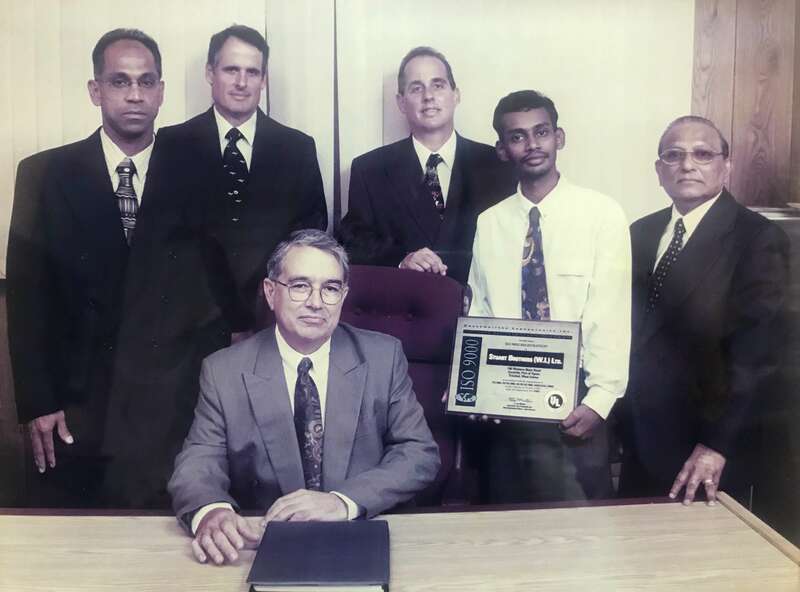 The staff has always been the major strength of Stuart Brothers, and the top management team of Gregory Wight (Managing Director), Haroun Hosein (CFO), Rajendra Persad (Senior Accountant), and Clifton Balkaran (Technical Director) have over 125 years industry experience combined. A commitment to quality is clearly endorsed in the company policy and is stressed throughout day to day operations with employees. Much of the success of Stuart Brothers is due to the dedication of these employees. The work environment at Stuart Brothers is a personalized one, where employees are encouraged, comfortable, and determined to give 100% effort. At this stage in the company's development, Stuart Brothers is developing a presence on the web, including this very website where customers and potential customers can request flavours and finished product samples. The company is also expanding marketing efforts into South America with the intent of making the next 25 years a period of major growth and development.